These 2D character animation examples have been used by companies to bring animated characters to life. 2D character animation video uses the persona of your B2B or B2C target audience to inspire and generate an emotional connect with them. 2D Character videos are fun to watch and explain your business idea in an appealing way. Character animation is defined as the process of bringing animated characters to life in a two or three-dimensional context. Also, character animation refers to the creation of an animated person or animal to create the illusion of movement and that the character is alive. Zurich offer a range of financial protection solutions to suit everyone, and provide you the information to help you make the right choice. They offer a number of insurance policies to choose from, depending on your circumstances. The 2D character animation video shows how Zurich can give peace of mind with their complete range of life insurance and mortgage protection products. All of the work stuff we do sure can be overwhelming! Good thing there’s Slack. It was launched in the year 2014 and is a platform that connects teams with the apps, services, and resources to get work done. The 2D character animation video showcases how Slack is the ultimate communication that your company needs to work properly. PrimeStar Life provides life insurance policies infused with enhancements that allow you to accelerate your policy’s benefits to get much-needed money in your hands if you are to suffer a terminal, chronic, or critical illness such as heart attack, stroke, or cancer diagnosis or in case of a critical injury. The 2D character animation video highlights how PrimeStar’s living benefits can be an ideal income alternative during your illness. IKEA launched its mobile sales tool to help its staff meet customer expectations and help make finding the perfect home decor super easy. The mobile tool helps IKEA team on the floor locate, find the best match or create a solution on the go. The 2D character animation video gives an overview of how IKEA’s sales tool works. TraQtion is a cloud-based quality and compliance software that helps retailers, restaurants and manufacturers to proactively manage their supply chain, sites, and product quality all in one place. With TraQtion, you can track quality and compliance from the macro to minutiae, anticipate problems and take corrective measures, wherever you are. TraQtion’s 2D character animation video showcases how seamless quality and compliance can be. Scripted is a venture-backed content creation company. It provides written content for thousands of customers that range from small businesses to large enterprises through its curated user-base of specialist writers. The 2D character animation video briefly explains how easy it is to work with Scripted. One click and your content is in the process, only for you to later review and post wherever you want. Comcast Business is a subsidiary of Comcast which has handled the sales, marketing, and delivery of internet, phone, and cable television to businesses. It is built for speed, profitability, and growth of Business. The 2D character animation video shows how Comcast Business integrates with your business objectives and creates comprehensive marketing strategies. Aigang is a blockchain protocol for digital insurance. It provides insurance for the internet of things (IoT) through the use of DAO and smart contracts. Its digital insurance system is so easy to use, that you download it just like you would download another app. The 2D character animation video gives an overview of Aigang. Western Union is a leader in global payment services. They help people and businesses move money and to help grow economies and realize a better world. With their mobile app, the power to send money around the world is in your pocket with the Western Union Money Transfer app. The 2D character animation video shows how you can partner with Western Union Bill Payments to build and execute your mobile payment strategy. 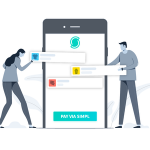 StaffConnect delivers a powerful mobile employee engagement platform. It transforms the employee experience by enabling large enterprises to connect, communicate and engage their entire workforce. The 2D character animation video demonstrates how StaffConnect gives employees ‘a voice’. MyRetirementPlan creates a customized investment plan to suit your financial needs. Its innovative engine provides optimal retirement investment strategies with quarterly updates, thus ensuring the most current information is always at your fingertips. The 2D character animation video demonstrates how MyRetirementPlan is one of the most sophisticated retirement plan investment engine. Discover the city’s hidden stories with fun facts and audio-guides, and take a peek into the past with TopoTogo. It provides interactive mobile travel guides, featuring recommendations, trails, on-the-go-bookings, and stories of the city – written by a professional journalist. The 2D character animation video showcases how TopoTogo is effective for local businesses to reach tourists. Car-sharing with Zipcar offers you instant access to on-demand cars anytime, anywhere in Brussels. It lets you enjoy all the fun and convenience of owning a car, all for one easy-peasy, all-inclusive cost. Book it when you want, drive it when you want, then return it when you want. The 2D character animation video shows how Zipcar is a convenient choice for short excursions. Synergita is an employee performance management software that helps with smooth performance appraisals and engagement of all the employees. Its individual employee profiles allow users to track career history and also capturing skill sets, education, and experience. The B2B marketing video shows how Synergita brings performance management closer to people and closer to business. Influo is technology to facilitate influencer marketing within the Benelux. Influo supports creative content creators to initiate collaborations or receive requests from marketeers within the industries and topics they care about. The 2D character animation video highlights how Influo allows marketeers to organize, execute and report on influencer marketing activities. My Ed app helps connect parents, students, and schools. The My Ed app shows up to date information about all aspects of a child’s student life. It helps monitor a child’s attendance and also gives out regular updates about a student’s achievements. The 2D character animation video shows all the powerful tools within My Ed that can help a parent monitor his child’s student life. 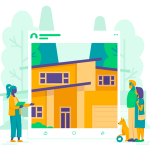 Neos Connected home insurance uses smart technology to connect, protect and insure your home 24/7 from your smartphone. Neos provides 8 smart sensors and a camera to detect leaks, fires and break-ins. The 2D character animation video shows how Neos app automatically connects to the sensors and alerts if there is a problem. Sipwise enables rapid application development based on the RTC: engine interface. This allows operators and over-the-top service providers to offer instant real-time communication services in a web browser. The 2D character animation video shows how Sipwise helps enhance your customer’s communication experience and provides tailor-made solutions for their needs. Relay 42 data management platform offering services to Airlines, Finance, Telecom, Travel, and Utilities sector. It combines all the data into a single customer view, by turning marketing into human dialogue. 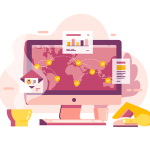 The 2D character animation video highlights how smart data management can increase customer lifetime value through relevant cross-channel upsell. South Trail Kia’s Finance Department is your auto loan and car lease resource. They provide financing for your new car, or assist in used car financing.They work with you to secure a no credit car loan if your situation demands it. The 2D character animation video displays how South Trail Kia can help you refinance your car loan or adjust the term of the contract. With the above 2D character animation examples, it’s evident that companies are fast integrating blockchain marketing videos in their marketing campaigns and various other touchpoints. If you are planning to develop these videos, a good start is to develop a brief of what can be the tone and style for your video. We advise you to be different and unique while you create your messaging through the videos.